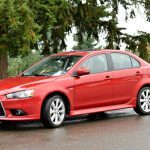 I was provided with a 2019 Mitsubishi Outlander Sport to facilitate this post. All opinions are my own. With all the talk of the Polar Vortex and the possibility of snow tonight in Seattle (I don’t actually think it will happen, but I can dream), I started thinking about what sort of essentials I should make sure are in my car for any sort of winter inclement weather. 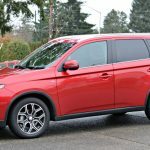 We don’t get too much winter weather here in Seattle, but it does happen every once in a while, and we do have somewhat chilly nights, so any sort of car issue could become a bigger problem in the cold. First up is an ice scraper. Even standard winter weather requires an ice scraper. Fortunately Brad lets me park in the garage so he is the one to scrape his car each morning; but every once in a while I park outside instead. I’ve even been known to come outside from work to an iced-over car windshield. Sometimes, an ice scraper just won’t quite work quick enough, or the ice may be super thick. In that case, some liquid Windshield De-Icer could be super helpful to have in the car. Another great item to have in the car is a warm blanket. If you don’t necessarily want to store bulky blankets in your car, emergency blankets are a great option because they fit in your glove box. Add in a few hand warmers as well just in case it gets cold in the car. Emergencies never happen when it is convenient. Any sort of car issue at night puts the driver at risk for being hit by passing cars, so keep a pack of LED Road Flares so you can quickly set them up. Coming out to a dead battery is no fun, especially if you are parked in an awkward location for getting another car nearby (and hoping that either you or them have cables). The myCharge Adventure Jumpstart is perfect to keep in your glove box. The myCharge batteries hold their charge well, so it will be full when you need it. Also having an external battery is a good plan in case your phone is running low on battery power. All cars should have a First Aid Kit in the trunk, especially in the winter! Finally, have a couple water bottles and some snacks in case you have some time to kill in the car before help arrives. Having a car that can deal with winter weather is also a winter essential. 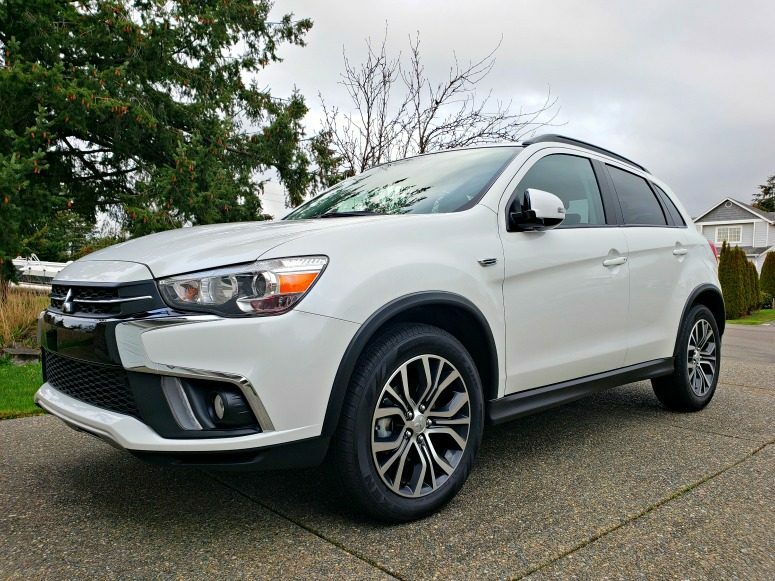 The 2019 Mitsubishi Outlander Sport definitely says “winter SUV” since it comes with 4-Wheel Drive! 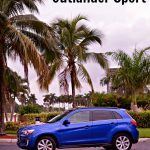 The Outlander Sport is the 5-passenger version of the Outlander family. While I was driving this car, I basically had the seat warmers on at all times because they felt so nice and toasty. I loved how hot they got and kept me warm while I was stuck in traffic. 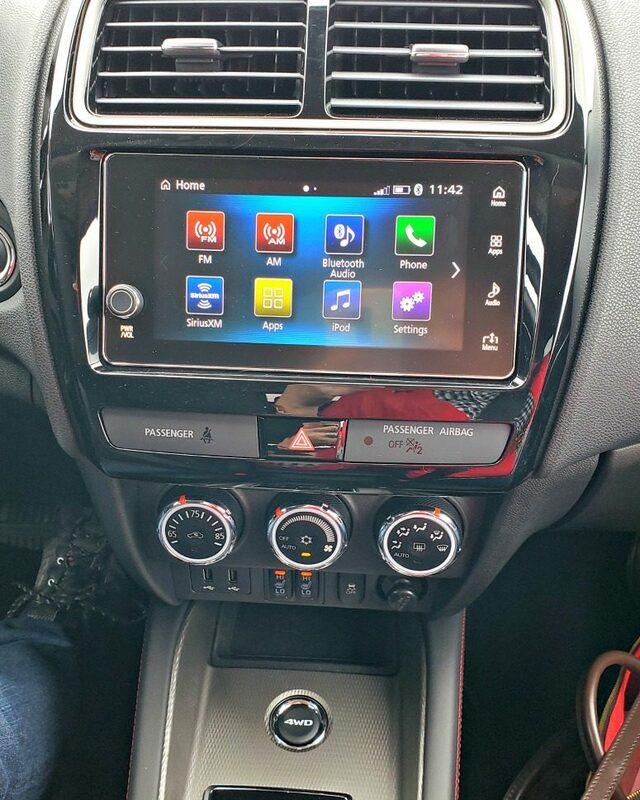 The infotainment system is mainly controlled through the 7″ touch screen in the center console. With Android Auto (or Apple Carplay if you are an iPhone person), you can utilize features like navigation, and your own music through Spotify or another music app. I’ve shared my love of Android Auto in the past, especially when it comes to navigation because it syncs with my Google calendar so the address is already there. 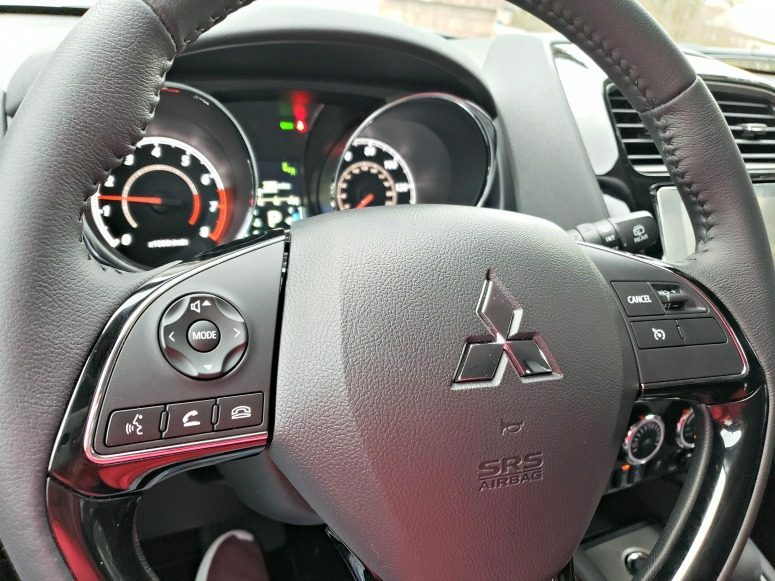 The Bluetooth worked great in the Outlander Sport. 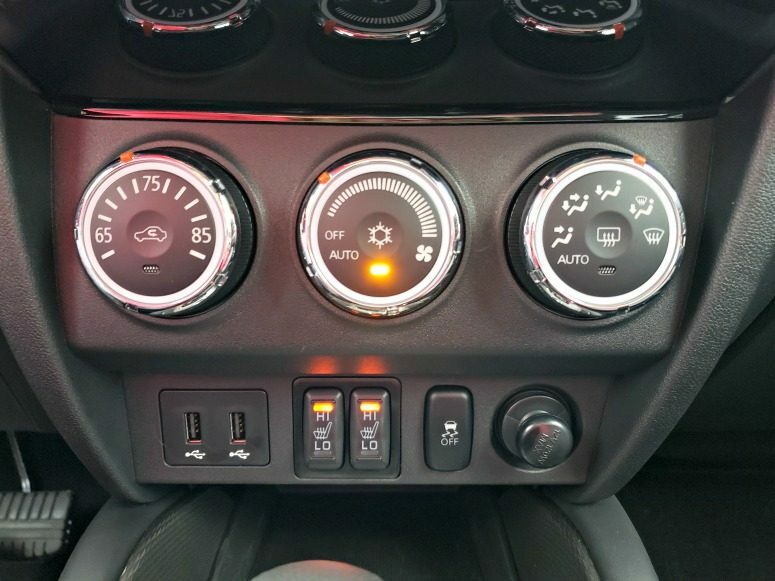 I used it to stream my Spotify playlist (I didn’t have a USB cable with me at the time to use Android Auto), and I would answer phone calls thanks to the easy hands-free buttons on the steering wheel. 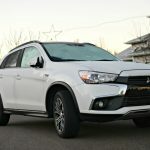 Throughout the week with the 2019 Mitsubishi Outlander Sport, I took it on quite a few adventures. I hauled large amounts of equipment, did some shopping around town, and simply drove around for some appointments. 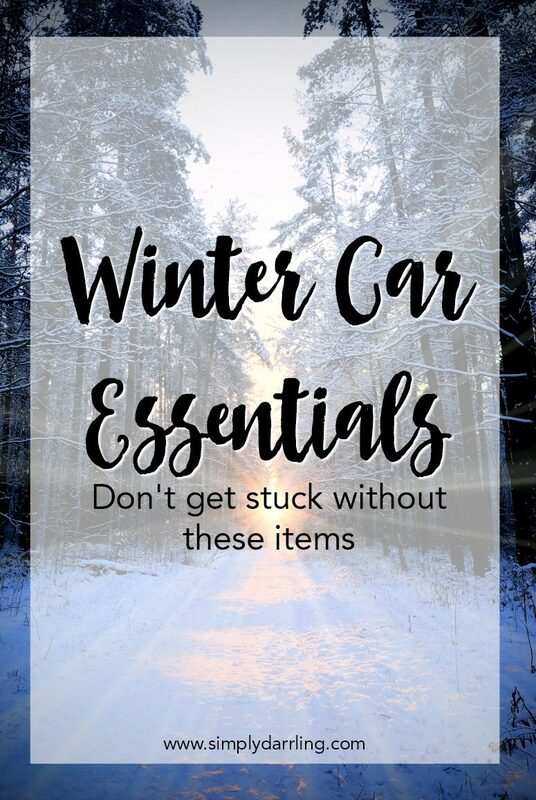 What are your must-have items to have in your car during the winter?